– you will be going backwards. For your convenience we have prepared a summary of Hubspot’s 27-page Marketing Trends and Predictions for 2013 and one we have turned into a simple Marketing Action Plan Checklist. from Outbound / Traditional Marketing. Do you have a costed Marketing Strategy Plan for the year? 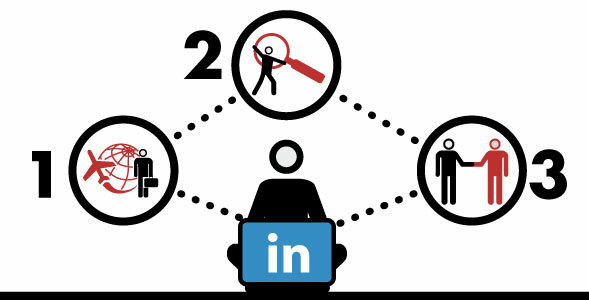 Are you being found by enough new prospects? 2. Marketing Communication is moving away from Campaigns to Real Time Communication thanks to Social Media and immediacy of client expectations. Prospects are increasingly contacting / finding (Inbound Marketing) prospective suppliers / sellers and they want answers NOW! Technology will keep driving these changes with new widgets, gadgets, readers and scanners, RFID tags, and of course apps! Gamification will also grow as a marketing tool beyond product placement to improve the delivery of content in a more enjoyable way. Do you know which Social Media channels to focus on? Are you interacting with prospects and customers via Social Media? Do you have a Content Marketing Plan so that you can be “active and successful” on Social Media? Have you personally or your company carved out a niche that you are known for? of the new systems are now integrating Social Media information for their client records. of world-class experts at qubePartners as well as our own team that can assist you. call and we can provide answers very quickly. should be integrated amongst each other and your website. competitors to serve up highly personalised messages to the right audience at the right time. Can your CRM, ERP, Email Marketing technology / software act on the insights? Are all your staff singing from the same hymnbook? this document should be the cornerstone of your marketing communications. expect the same response they’d get if they talk to marketing, or sales, or engineering. communication tailored to different segments? Are they engaging with your content and offers? website, let alone reasonable video content, so this area will keep booming. Do you have great content? engaging with what you have! (or in instagram’s case, $1 billion). Infographics, photos, picture boards, video, and other forms of rich-media will increase over the coming years as humans look to digest more information faster than ever before.” – Hubspot Marketing Trends and Predictions for 2013, p.23. Does your brand have a well developed visual palette? Wishing you a healthy and productive 2013. Don’t hesitate to contact us if you need any assistance in improving your marketing results. Just because you are using the highly emotional and fast growing medium of online video, it doesn’t mean that viewers will automatically engage with you. Here are some numbers published by Video Brewery to improve your engagement with viewers. First 10 seconds are critical. Research shows that 20% of visitors will click away during these first few moments. Just like Copywriting put your best stuff first; don’t save it for later, as there may not be a later. The opening 10 seconds of a video should be treated like a headline in print. If it doesn’t grab the reader / viewer then you will miss them altogether. In the first 30 seconds another 30% of visitors will disappear, 45% by 60 seconds and almost 60% by 120 seconds. Counter intuitively; mobile users have longer attention spans. Most mobile users are watching online video for between 2 and 5 minutes, the 5 minutes being on an iPad when compared to desktop users. Most shared videos are 15 seconds or shorter. These 15-second online videos are shared 37% more often than those between 30 and 60 seconds. As with all content marketing and in fact any marketing tactics you can only control what you can measure – so video analytics are vital to learn what is working and what isn’t. You can read the original article here. ‘What is a brand’ is still the most misunderstood and misused concept in the small business arena. In previous blogs I have at length discussed the fact that it is not a logo, name or packaging, but the total sum of perceptions that your customers and prospects have about your business or organization. It is what they think and feel about you and those emotions and thoughts are the result of your target audience experiences with your company. But there is an even simpler way to look at the concept of brand, the way that the world of business looked at it before the word became a way for ad agencies to not only examine competitive strategies in their bid to sell to the mass market in the 1950s but also a way to mystify the advertising process and hence become the guardians of the ‘brand’. So what did business people say before the word brand entered the everyday vocabulary of business media? “A brand for a company is like a reputation for a person. You earn reputation by trying to do hard things well. The next 4 blogs will summarize the 4 chapters of Dale Carnegie’s must read book to effective communication and illustrate the way they directly relate to the AIDA (Attention | Interest | Desire | Action) model of advertising. The quality of “stuffing” in our letter boxes certainly justifies this paper waste being called Junk Mail! Here’s a sample from just one day, which is typical of type and quality SME (small medium enterprise) Junk Mail versus big retailer catalogs. 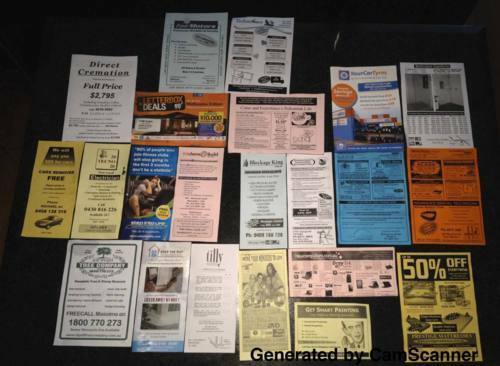 2. Business Link, which is Local Advertising company which sells the space, prints and then distributes into mailbox – they had 21 advertisers all as loose leaf or brochures in different sizes and formats. The overall standard of these and all other junk mail I have ever received is pathetic. Most rules of design and copywritng have been broken / ignored (fact is the owners of these brands just don’t know what they don’t know). Letterbox Deals – 8 out of 27 were just reasonable, or at least acceptable. Business Link – 1 out of 21 was good (and it was a Franchise – Step Into Life), 1 was ok, the rest a perfect example of what not to do when it comes to Copywriting and Design. The ratio of terrible to reasonable is the same in your local newspaper, Manufacturer’s Monthly and most other trade mags. Interestingly the standard in North America (USA and Canada) is much higher, due to the more competitive nature of their markets. The only reason most of these businesses are still alive is because their competition is just as bad and consumers have effectively no choice! And here’s the bit that makes me happy – business owners who get this will prosper with the proper content strategy: by developing a brand, communicating clearly, effectively and utilizing basic communication principles. We are passionate, energetic and committed Communication specialists. Our area of expertise is in Talent Placement, Media Training, Public Relations and Crisis Management.